Robert Rountree, MD, received his medical degree from the University of North Carolina School of Medicine at Chapel Hill in 1980. He subsequently completed a three-year residency in family and community medicine at the Milton S. Hershey Medical Center in Hershey, Pennsylvania, after which he was certified by the American Board of Family Practice. He is a diplomate of the American Board of Holistic Medicine. He has augmented his training with extensive postgraduate studies in nutritional and herbal pharmacology along with certification as a master practitioner of neuro-linguistic programming. Dr. Rountree has provided his unique combination of traditional family medicine, nutrition, herbology, and mind-body therapy in Boulder, CO, since 1983. He has recently opened Boulder Wellcare, a private practice specializing in individual healthcare consulting. 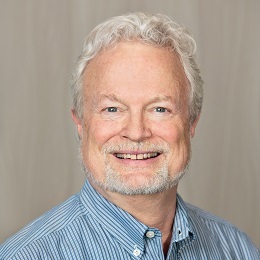 He is coauthor of three books on integrative medicine, Immunotics: A Revolutionary Way to Fight Infection, Beat Chronic Illness, and Stay Well (Putnam, 2000); Smart Medicine for a Healthier Child (Avery Publishing, 1994); and A Parent’s Guide to Medical Emergencies (Avery, 1997).